The 6th IEA EBC Annex 66 Experts’ Meeting will be held between September 25th – 27th at Tsinghua University in Beijing, China. As the final expert meeting of Annex 66, the achievements to date, the final report, as well as a potential new annex will be discussed and concluded during the two-day expert meeting. The expert meeting will follow a Symposium on September 25th where speakers will be invited to present their view on the topic from an industry, engineering research or social science research perspective. Please fill in the registration form and send it back by email together with the digital copy of your passport (first page) to zhupanyu129@tsinghua.edu.cn before September 1st 2017. Because of the necessary time (about 2 weeks) for applying for an official invitation letter from Tsinghua University please start the procedure as soon as possible. The registration fee could be paid by money transfer to the following bank account or paid by cash at the meeting venue. Please inform us by sending email to zhupanyu129@tsinghua.edu.cn after your money transfer. We will email back to confirm that your registration fee has been successfully received. The Symposium and Expert Meeting will be held in Wangzesheng Hall in the School of Architecture on the campus of Tsinghua University. The map below will show you how to get to the meeting venue from Beijing Capital International Airport. OB-17 is the third international symposium focusing on monitoring, modelling, and manipulating occupant behaviour and the energy and comfort consequences of these behaviours. It aims to bring researchers from Annex 69 and Annex 66 together to share recent research, technological developments and best practices on the understanding and influence of adaptive thermal comfort and occupant behaviour in buildings. Researchers and practitioners from broad backgrounds (engineering, architecture, psychology, sociology, marketing, etc.) are encouraged to participate. OB-17 aims to stimulate discussions and debate on adaptive thermal comfort and occupant behaviour. The symposium follows a two day Annex 69 expert meeting on adaptive thermal comfort and, is followed by a two-day Annex 66 meeting on Modelling of Occupant behaviour in buildings. Both meetings will be held at the Technical University of Denmark (DTU). Each session will be divided into slots of 20 minutes (including questions and discussions). We invite participants who would like to present to submit an abstract of maximum 300 words, describing their potential talk. These will go through a blinded review process which will form the basis for the selection of talks. Please send your abstract in pdf format to annex.meetings@byg.dtu.dk before the 15th of March 2017. Remember to indicate which session you would like to present in. The Symposium will be held at the Technical University of Denmark in Lyngby, You can find a map of the campus here. Location: The glass hall in Building 101 (the main building). OB-16 is the second international symposium focusing on monitoring, modelling, and manipulating occupant behaviour and the energy and comfort consequences of these behaviours. Presenters from broad backgrounds (engineering, architecture, psychology, sociology, marketing, etc. ; researchers or practitioners) are encouraged to participate. OB-16 aims to stimulate discussions and debate and to encourage contributions to IEA EBC Annex 66 “Definition and Simulation of Occupant Behavior in Buildings” (www.annex66.org). A two-day meeting of Annex 66 follows OB-16 (August 4th and 5th, also at Carleton University), with all symposium participants welcome to attend. 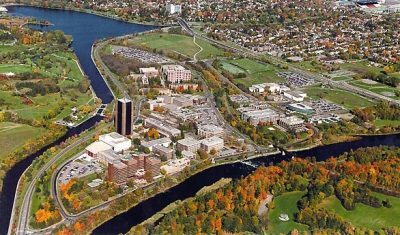 Carleton University has about 28 thousand students and is one of Ottawa’s two major universities and is known for its programs in public and international affairs, engineering, architecture, and journalism. Ottawa is Canada’s capital and has a population of nearly 1-million. It is located in Eastern Ontario, Canada’s most populated province. It has an international airport with direct flights to several European cities (Frankfurt and London) and many North American cities. 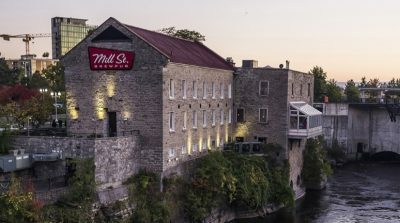 Ottawa is known for its many museums, cultural attractions, and proximity to nature. We are happy to announce that registration for IEA-EBC Annex 66 International symposium and 3rd expert meeting in Vienna, Austria is now open at http://bpi.tuwien.ac.at/annex66/. The deadline for registration is Wednesday, 17th of February 2016. But to facilitate the meeting organization, we encourage you to complete the registration at your earliest convenience. Additional information (registration, accommodation, and schedule) may be found at http://bpi.tuwien.ac.at/annex66/. Please do not hesitate to contact us at annex66@tuwien.ac.at, if you have any questions with regard to Vienna International symposium and Annex 66 meeting. The 3rd Expert Meeting of the Working Phase will be hosted by Prof. Ardeshir Mahdavi, Vienna University of Technology, Austria, March 30 to April 1, 2016. This is the first announcement of the second IEA EBC Annex 66 Expert Meeting which will be held together with a one-day International Symposium. During the symposium, invited speakers will present their view on the topic from an industry, engineering research and social science research perspective. This will be followed by a series of short PhD-presentations discussed with an expert panel. A banquet will finish the first day in the Karlsruhe Palace. .
During the two-day expert meeting, the scope and the progress of work of the annex will be discussed in the general panel and in parallel sub-task sessions. An evening event on the first evening of the expert meeting will give the opportunity to continue discussions in a relaxed atmosphere. The fee includes all congress information. Registration is possible until July, 24th 2015. 10:00 - 17:00 General discussions and sub-task sessions. Details of the meetings are available at the following flyer and slides.